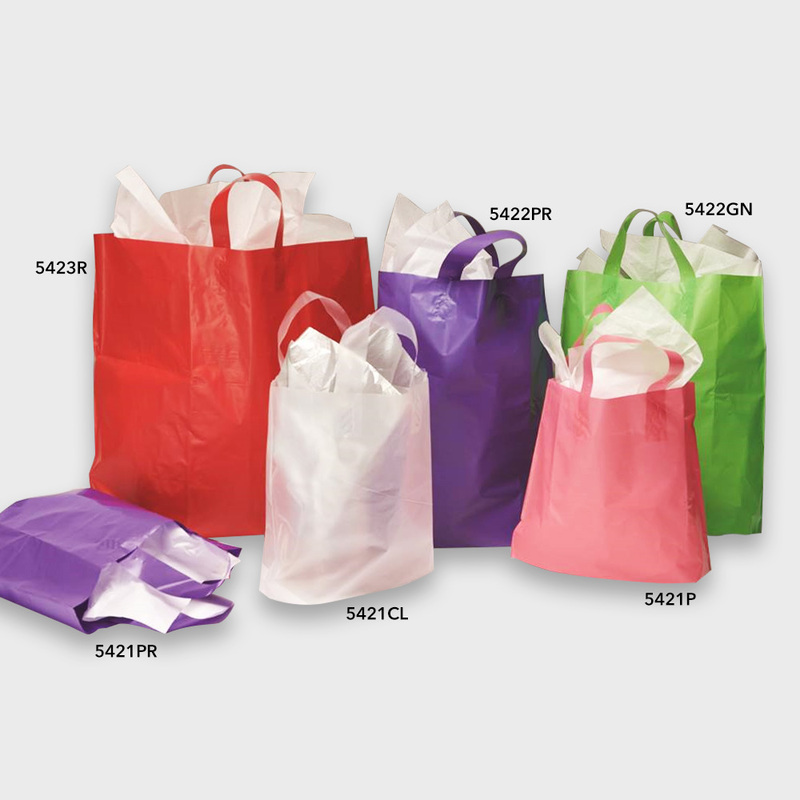 Frosted Color Bags are a great addition to your store. Use the bags with Decorative Tissue for that special touch. Frosted Color bags have a soft loop handle for easy carrying. Add a custom label to advertise your store name.